Just recently I became proud father of a beautiful daughter (on May 31st) Charlotte. To celebrate my first Father's Day, my wife (and according to her - my daughter as well) gave me a Speedmaster as a present. 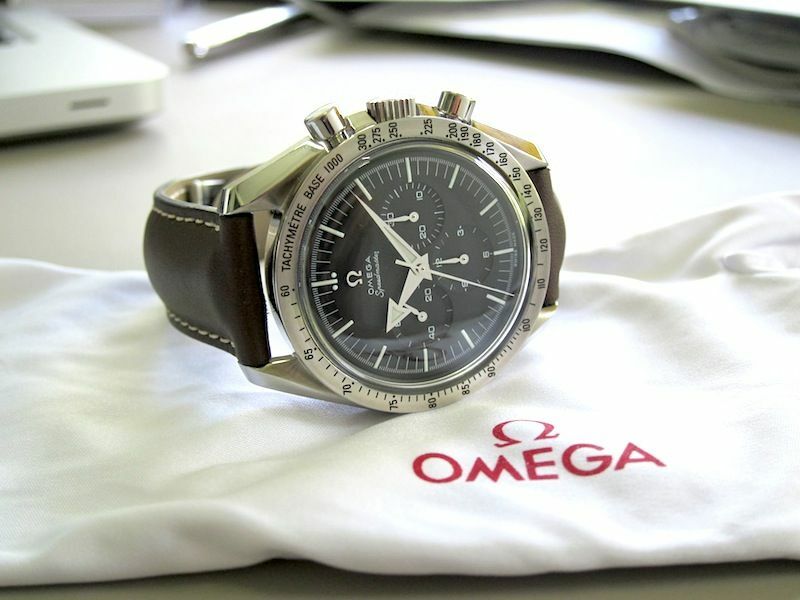 It is a Speedmaster '57 re-edition from 2000, in unused condition. 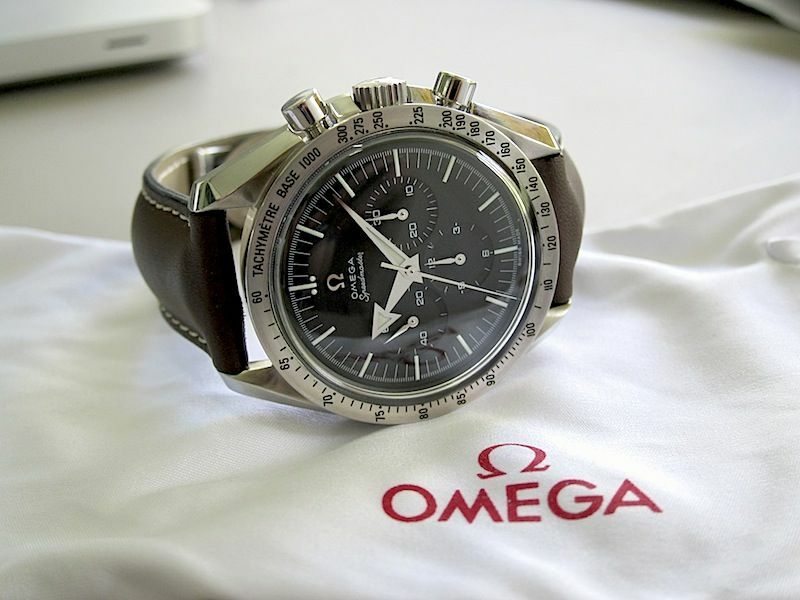 She received some help (behind my back) from one of my friends, who is a Speedmaster collector as well, as she didn't know what to buy and how to buy. She did know that it needed to be a Speedmaster. I am over the Moon with this piece, as it is indeed one of the watches I always wanted to add to my modest collection of Speedmasters (I have 6 now and 2 on "order" from a collector in NYC). It is complete with box and papers and came on a stainless steel bracelet (1998/840). The bracelet was also never used of course, so I took it off and put on this leather strap with deployant clasp (both original OMEGA). I strongly believe watches shouldn't be (or become) safe queens, so the bracelet will be put back on but for now, I am keeping it 'new'.